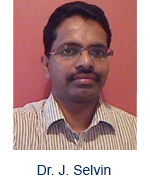 Dr. J. Selvin Jawaharlal Nehru Award (2003), DST Young Scientist Award (2004), INSA Young Scientist Medal (2006), INSA-Professor LSS Kumar Memorial Award (2006), UNESCO-IOC-TEMA Grant award (2006), Nature Publishing Group Award 2006, DBT Young Investigator Project (2008), INSA-Anil Kumar Bose Memorial Medal (2009), BOYACAST Fellow (2009-2010), Chairman of Board of Studies in Microbiology, Fellow guide of IAS, Editor of four international journals, reviewer of 37 journals, Indian organizer of Indo-UK conference on shrimp aquaculture, External reviewer of projects submitted under Cluster of Excellence "Future Ocean" in Kiel University and Member of task-force (2012-2015), Dept of Biotechnology, Ministry of Science and Technology, Govt of India. 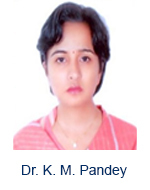 Dr. Khushhali M. Pandey is a Assistant Professor of Bioinformatics in the Department of Biological Science & Engineering at MANIT, Bhopal .She received her Ph.D. Degree in Microbiology from Barkatullah University in 2007. Then she is working as a faculty in MANIT for Seven Years. She is having 10 Years of Experience in the field of Bioinformatics Her Area of Expertise is Viroinformatics which includes Comparative Genomics of viruses, Structural & Functional Annotation of viral genome. Evolutionary studies of viruses & Drug Designing. 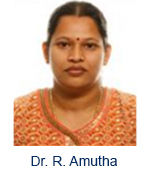 Dr. R. Amutha is an Assistant Professor in the Centre of Bioinformatics, Pondicherry University, India. She has completed her Ph. D. degree in the University of Madras. Her area of specialization and interests include Computational Biology, Molecular Dynamics, Simulations, Drug Design. She has many publications at various levels. 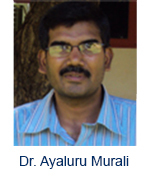 Dr. Ayaluru Murali is an Assistant Professor in the Bioinformatics Centre at Pondicherry University, India. I have an extensive experience in USA at solving the structures of macromolecules (proteins, protein-protein complexes, viruses and virus like particles) using a novel technique called single particle analysis (SPA) and transmission electron microscopy (TEM). 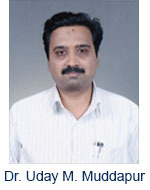 Dr. Murali has published several papers in this field in reputed journals such as PNAS, Journal of Biological Chemistry, Nano Letters, ACS Nano, Journal of Virology. Use of nanoparticles further enhances the power of single particle analysis as already shown in my earlier works [PNAS (2007, 104, 1354-1359. ), NanoLett (2006, 6, 1993-1999), and ACS Nano (2010, 4, 3853-3860)]. He recently moved to India to take up a Faculty position in Pondicherry University to continue his research in these lines. His area of research interest includes Structural Biology, Transmission Electron Microscopy, Single Particle Analysis, Virus like particles, Proteins and Protein-protein complexes. 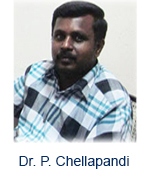 Dr. P. Chellapandi is an Assistant Professor in the Molecular Systems Engineering Lab, Department of Bioinformatics at the School of Life Sciences, Bharathidasan University, Tamilnadu, India. He received his Ph.D. Degree in Biotechnology from Bharathidasan University. He is having 16 years of rich experience in his relevant field. His area of expertise includes in the field of Biotechnology, Bioinformatics and Microbiology. 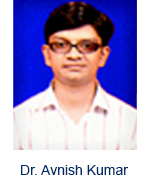 He is a Life Member of Scientific Society “Microbiologists Association of India”. He is the recipient of 13 honors and awards beginning from the year 1997. Dr. Chellapandi is engaged in various projects and has many publications in research papers, books and chapters at National and International levels. 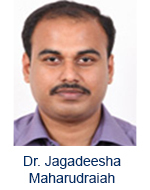 Dr. Jagadeesha Maharudraiah obtained his M.D. in Pathology from M. S. Ramaiah Medical College in Bangalore, India after completing medical school at Sri Siddhartha Medical College in Tumkur, India. He is experienced in hematopathology, cytopathology, clinical pathology and histopathology and is currently also an Assistant Professor in the Department of Pathology and Laboratory Medicine at RajaRajeswari Medical College in Bangalore. He has previously worked as a Consultant Pathologist in the Department of Laboratory Medicine at Sagar Hospital in Bangalore. He is a member of Karnataka chapter of Indian Association of Pathologists and Microbiologist and is a reviewer for the Journal of Proteomics. At IOB, he was involved in a number of cancer biomarker projects including esophageal and gastric cancer. He carried out studies on the proteogenomics of Mycobacterium smegmatis and Mycobacterium kansasii. He is collaborating with other physicians and scientists at Kidwai Memorial Institute of Oncology and NIMHANS in Bangalore. Dr. Kumud Sarin is a dynamic professional with over 15 years of rich experience in Teaching, Training, Research and Development, Content Editing and General Administration. She holds a degree of PhD from Delhi University and Post Doctorate from UGC, ICMR. Dr. Kumud is an award holder for Young Scientist, also got Second Prize in International Conference on Human Genetics for paper and poster presentation. 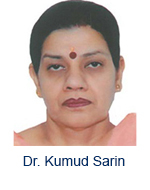 Dr. Kumud Sarin is a technical expert for various Universities in the areas of Bioinformatics, Biotechnology, Genomics and Clinical Trials. She has core competency in Bioinformatics, Computational Biology, Genetic Engineering, Bioinformatics Software, Proteomics and Genomics, and Chemiformatics. Dr. Kumud got distinction in writing books of Bioinformatics, health sciences, chemical sciences and Biotechnology. Presently, she is working in Bioinformatics Institute of India as Program Director and Head of the Department (Biotechnology & Bioinformatics), rendering her contribution in teaching and training, Research and Development and content editing. Dr. Kumud has good experience in clinical trials and have taken several initiatives like methodology planning for Clinical Trials, designing the experiments in relation to testing of the drugs collected from the Herbal products, Drug testing in the animals i.e., monkeys for malaria, investigate the effects of drug, analyze and investigate the chemical composition of the drug, manage the clinical trials studies, visualize the ethics etc. involved in the clinical trials. 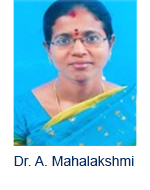 Dr. A. Mahalakshmi is a Project Faculty under UGC-Networking Resource Centre in Biological Sciences, in the School of Biological Sciences, Madurai Kamaraj University, Madurai, India. Her area of research comprises of Agricultural Biotechnology: Bio-based pesticides: Characterization and its Applications, Exploration of therapeutic Opportunities in the Human Microbiome. She is the recipient of Ranks and Awards like; B.Sc. Certificate Prize for Consistent Academic Performance, M.Sc- UGC-NET Qualified for JRF and Lecturership, Received CSIR Travel Grant for Young scientists to present research paper in International Symposium on Biocontrol and Biotechnology at Wuhan, China and Best paper award in the National Seminar on Emerging trends and developments in Bioinformatics at GRD College, Coimbatore. She has various publications in journals, books, chapters etc. Other achievement includes; Sequences submitted to EMBL -28; Structures submitted to PDB/PMDB-17. 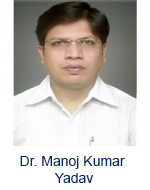 Dr. Manoj Kumar Yadav is an Assistant Professor of Bioinformatics in the Department of Biochemistry at the Pt. J.N.M. Medical College, Raipur. He received his Ph.D. Degree in Bioinformatics from Banaras Hindu University in 2014. He has successfully completed several research projects. He has published dozens of research and review papers in journals of international repute and has also providing reviewer services to various scientific journals. He is having more than 10 Years of Experience in the field of Computational Biology and Bioinformatics. He is presently working on Plasmodium biology and his Area of Expertise includes: Metabolic network study, Comparative Genomics, Computer Aided Drug Designing, Molecular Dynamics Simulation etc. He is the author of a book entitled “Comparative Genomics and Drug Design Strategies” published by a German publisher. Dr. Uday M. Muddapur is a Professor in the Department of Biotechnology at KLEDR. M.S.S. College of Engineering and Technology, Belgaum, Karnataka, India. He pursued his Ph. D in the year 2004 with the subject specialization as Studies on Fungal Transformation of Δ3-Carene (Terpene), Fungal Amylase and Fungal Pigments. Dr. Muddapur has 12 years of teaching along with 12 years of Research Experience in his relevant field. Beside this he also has an additional qualification in M.L.T.C (Medical Laboratory Technology Course) in the subjects Biochemistry, Microbiology, Pathology in 1994. He has rich experience in working with Microsoft Word, Excel, PowerPoint, SPSS, ISIS, Internet Usages in Scientific Research and extra-curricular activities. Dr. Muddapur’s Fellowships and Research Experience include University Studentship holder 1997-1999; Four years of research experience in Biochemistry at the P.G. Department of Biochemistry, Karnataka University, Dharwad, India. Expertise in microbiological, biochemical techniques, protein and enzyme purification, Knowledge in planning and executing experiments; followed by five students are doing Ph. D under his guidance since 2011. His area of research includes Microbial Transformation, Fungal Enzymes, Pigments and Protein, Nanotechnology, Analytical Chemistry, Environmental Biotechnology, Enzymology and Bioinformatics. His articles are published in many National and International platforms/journals, also presented many papers in conferences, seminars and conferences.